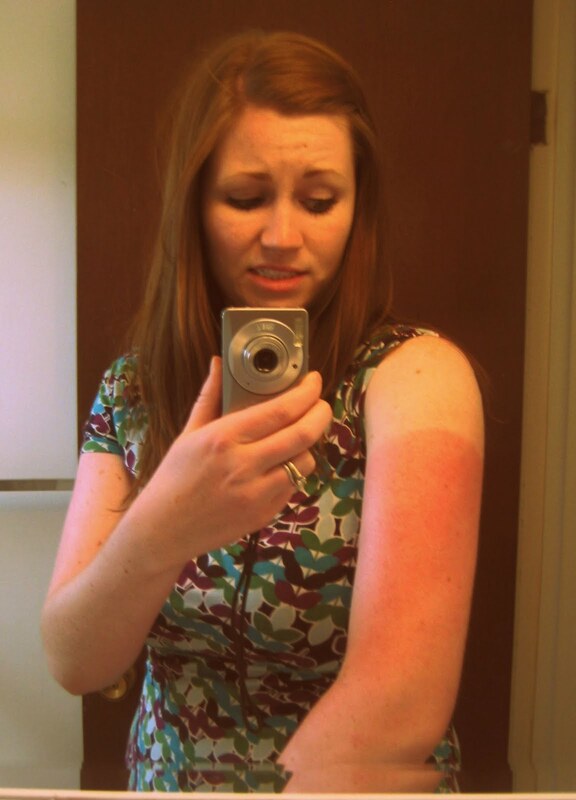 Nice farmer's tan. Now I have to figure out a way to even that out. Crap. That's what I get for forgetting sunscreen at field day. Have I mentioned that I LOVE having pale skin? Yeah, it's pretty much the best. On the bright side (not as bright as that arm though, holy cow), tomorrow is the last day of school, and my fam sent me a huge box of chocolate covered strawberries to celebrate that fact. Oh, and I bought my tickets for Jack Johnson in August. :-) That's better than aloe.